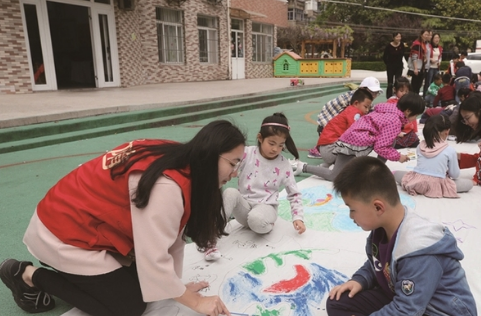 A volunteer from Nantong University shows a boy how to paint a picture of the earth at Hongqiao No 3 Kindergarten in Chongchuan district. ​A public library themed on overseas Chinese will open in Chongchuan district, Nantong, East China’s Jiangsu province, on April 29, the first of its kind in China, according to Nantong Daily. 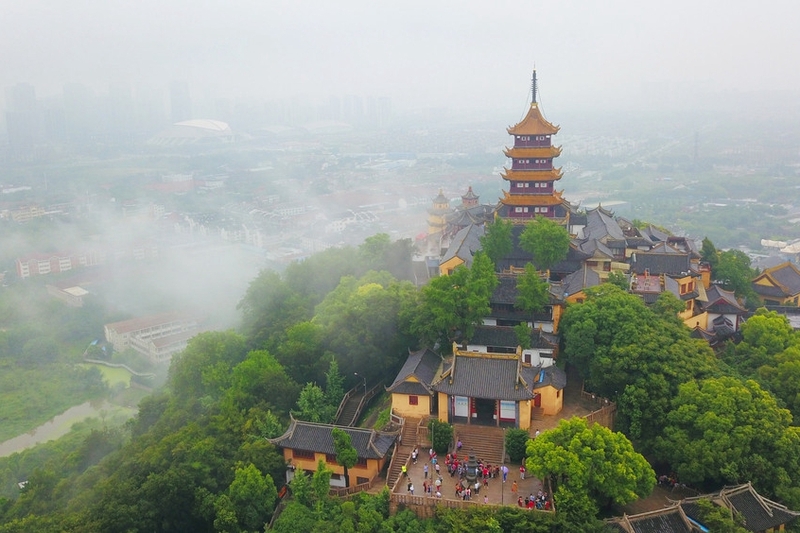 ​Chongchuan district in Nantong held an important conference on April 10 to promote industry-university-research cooperation with the University of Shanghai for Science and Technology. 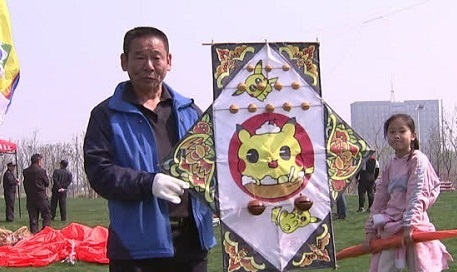 A hand-made kite with the appearance of a Peking Opera-style mask is pictured during a kite-flying competition for teenagers in Chongchuan district, Nantong,on April 6. 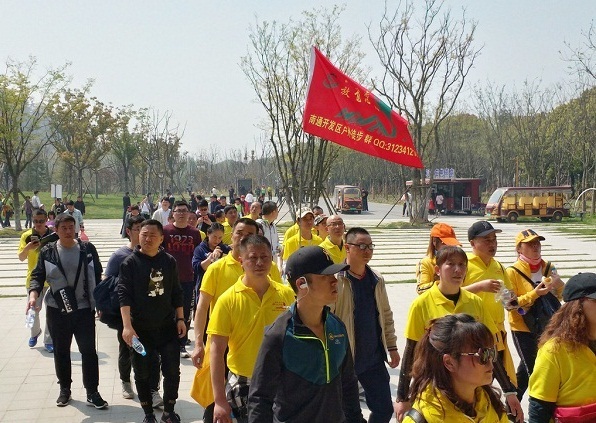 More than 1,000 people visited Langshan National Forest Park in Chongchuan district, Nantong, East China’s Jiangsu province on April 6, to participate in a walking event.